When a handsome and mysterious stranger arrives in Crooked River, the town is consumed by rumors. Although a deeply private young man, Dieter befriends everyone from deckhands to shopkeepers. On the rebound from a disastrous relationship, the charming but hesitant Maggie Paterson falls in love. Teddy Mink, the town’s notorious, paranoid drug lord, convinced that Dieter’s a narc, formulates a plan to silence him. Maggie's recently estranged ex, who moonlights as a drug runner for Teddy, jealously agrees that Dieter must be handled—no matter the cost. 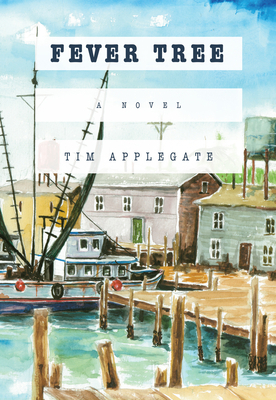 From the moonlit beaches of Quintana Roo to the waterfront docks of Crooked River, Florida, Fever Tree is a beautifully written story that charts the surprising journey of a deeply troubled young man zealously guarding the secrets of his past. Tim Applegate’s poems, essays, and short fiction appear in the Florida Review, the South Dakota Review and elsewhere. His most recent poetry collection is At the End of the Day (Turnstone Books). He lives in the foothills of the coastal range of western Oregon. "Tim Applegate manages to charm, frighten, arouse and thoroughly entertain us with this crime and romance crossed novel. I love the way innocence, naiveté, maturity and blood-soaked guilt are both seriously and playfully portrayed through compelling dialogue and vivid imagery. This is a wonderful summer read."